A gripping historical novel that tells the little-known story of Jewish refugees who fled to Shanghai during WWII. 1939: Two young girls meet in Shanghai, also known as the “Paris of the East”. Beautiful local Li and Jewish refugee Romy form a fierce friendship, but the deepening shadows of World War II fall over the women as they slip between the city's glamorous French Concession district and the teeming streets of the Shanghai Ghetto. Yet soon the realities of war prove to be too much for these close friends as they are torn apart. 2016: Fleeing London with a broken heart, Alexandra returns to Australia to be with her grandparents, Romy and Wilhelm. Her grandfather is dying, and over the coming weeks Romy and Wilhelm begin to reveal the family mysteries they have kept secret for more than half a century. As fragments of her mother's history finally become clear, Alexandra struggles with what she learns while more is also revealed about her grandmother's own past in Shanghai. After Wilhelm dies, Alexandra flies to Shanghai, determined to trace her grandparents' past. Peeling back the layers of their hidden lives, she is forced to question what she knows about her family—and herself. 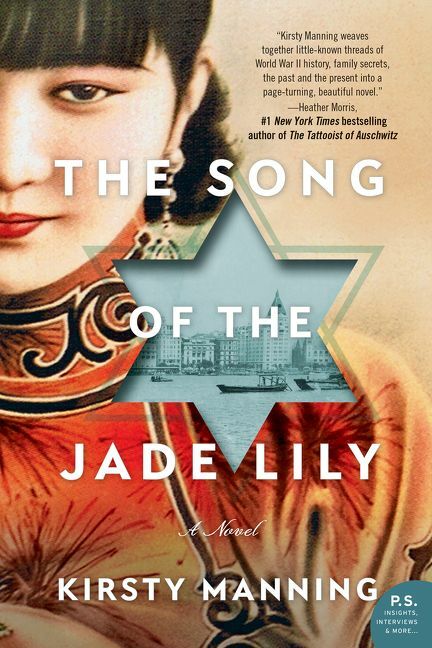 The Song of the Jade Lily is a lush, provocative, and beautiful story of friendship, motherhood, the price of love, and the power of hardship and courage that can shape us all. Kirsty Manning grew up in northern New South Wales, Australia. She has degrees in literature and communications and worked as an editor and publishing manager in book publishing for over a decade. A country girl with wanderlust, her travels and studies have taken her through most of Europe, the east, and west coasts of the United States as well as pockets of Asia. 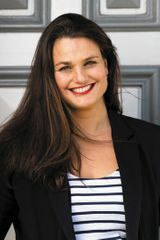 Kirsty’s journalism and photography specializing in lifestyle and travel regularly appear in magazines, newspapers, and online. She lives in Australia.